The study by scientists at the Queensland Brain Institute (QBI) at The University of Queensland (UQ) and the Howard Hughes Medical Institute in the USA was conducted to better understand how circuits of nerve cells underlie behaviour. Using advanced optical imaging in animal models, the research team was able to pinpoint a single neuron in the neocortex that signaled sensory behavior. This led to the discovery that active processes in its thin dendritic appendages are responsible for implementing the integration of sensory and motor signals. 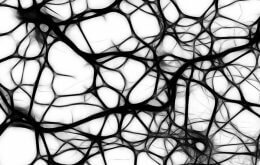 “We have long known that active dendrites provide neurons with powerful processing capabilities,” says QBI’s Associate Professor Stephen Williams, who collaborated on the study. “However, little has been known about the role of neuronal dendrites in behaviourally related circuit computations. “We were pleasantly surprised to discover that the dendrites of nerve cells operate during behaviour to implement the integration of sensory and motor signals,” he said. Such multi-modal integration enables the brain to perform at lightning speed, allowing animals to react to their environment in relation to existing knowledge. The paper, titled ‘Nonlinear dendritic integration of sensory and motor input during an active sensing task’ was published in the prestigious journal, Nature. In the paper researchers demonstrate how a novel global dendritic nonlinearity is involved in the integration of both sensory and motor during an active sensing behaviour. “At the cellular level, such integration combines motor signals, which control muscle movement, with sensory signals detected from the environment,” Associate Professor Williams said. This process allows an animal to predict where a sensory signal occurred with relation to its movement. “For example, in a mouse one of the major sensory modalities is touch by the whiskers,” Associate Professor Williams said. “Whisker movement is triggered by the motor cortex, which sends projection to the distal dendrites of the output neurons in the sensory area of the neocortex. “When a sensory signal is detected and correlated with motor cortex activity a large output response is generated in the dendrites, which represents the detection of an object in head-centred coordinates,” he said.